Marshes and wet shores along lakes, ponds, and rivers; bogs and open spots in swamps. Occasional specimens intermediate with C. pseudocyperus and C. hystericina are presumed to be hybrids. 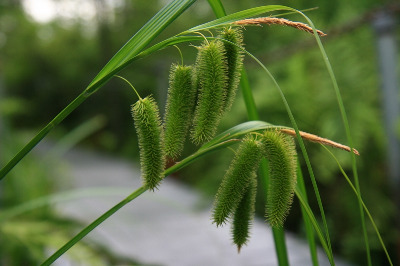 Robust plants may have pistillate flowers at the apex of the terminal spike. MICHIGAN FLORA ONLINE. A. A. Reznicek, E. G. Voss, & B. S. Walters. February 2011. University of Michigan. Web. 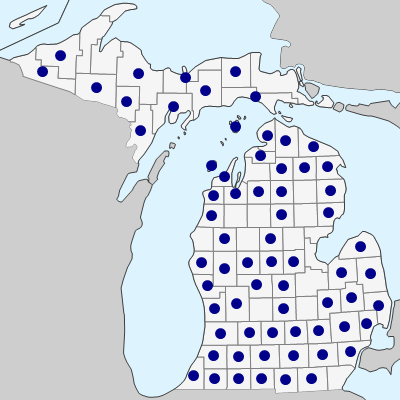 April 19, 2019. https://michiganflora.net/species.aspx?id=933.